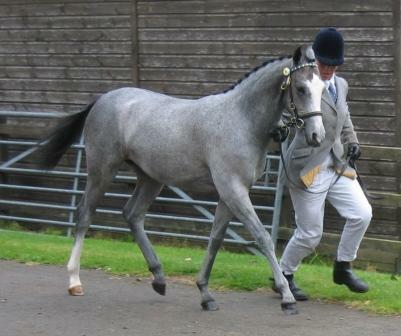 Bathleyhills Sea Swift - "Florence"
Graded Main Stud Book Status Sports Pony Stud Book 77.91% to be re-presented when mature. Inspected and Accepted Stutbuch I By Germany with Weser-Ems Stutbuch. Swallow produced a stunning filly foal who we named "Florence" on the 25th June 06 who is by Thursden Vallye Raphael who is a young Warmblood x stallion a son of Graded Sports Pony Stallion Aimbry Chester and with the influential warmblood breeding of her Grandsire, which includes Advanced Dressage Stallion Wadacre Chicko, Ramiro Z, Lady Killer, Rastell and Raimondo and his mother has classically bred top class riding pony breeding her sire is Yealand Nightowl and also includes Bottingelle Swansong, Bwlch Valentino, Oakley Bubbling Spring and Blueprint in her bloodlines. 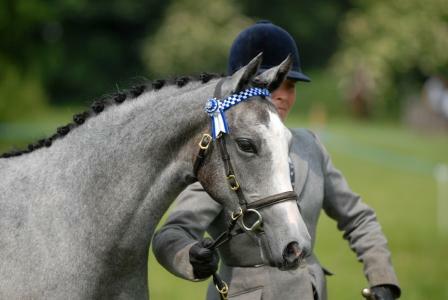 With her Sires superb breeding and of course her mum Swallows superb Downland breeding which includes strong bloodlines of Downland Chevalier, Downland Sea Eagle, Downland Mohawk, and the world famous Rotherwood State Occasion, by Keston Royal Occasion to name just a few we believe she will be the most perfect pony for any equestrian discipline. 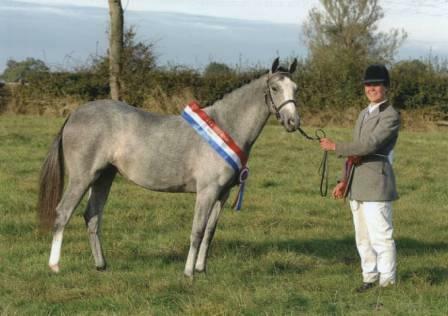 She has proved without doubt to be very successful in the showing rings in her first season of 2007, as a yearling, and has taken many Wins, Championships and a Supreme Championship. 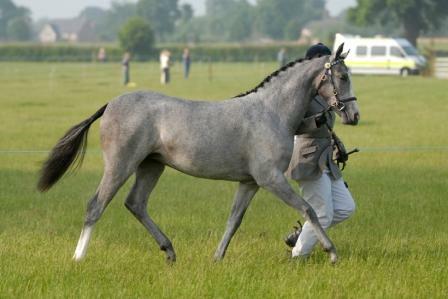 Florence after proving herself so successful in the show ring was left to mature and has since been moved into our broodmare herd. 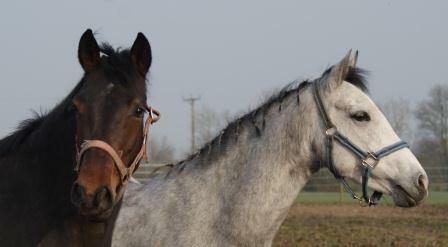 In 2009 Florence gave us her first filly foal then a full brother in 2010. She has produced some fabulous moving foals and we look forward to many more in the future as we feel she is a huge asset to the stud. 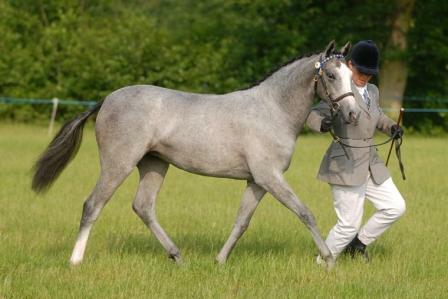 Florence was presented at the SPSS Mare Grading and Show she gained a 1st Premium and 2nd place in her section at the show with a score of 86.9% she gained scores of 9 for her walk, trot and temperament and was awarded Main Studbook status with a high score of 77.91 in the mare grading. 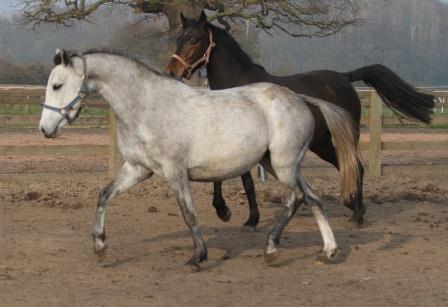 It was suggested she was to be represented as a more mature mare as they felt her marks would improve - Head Studbook marks are 80% or above so not far off!!!! 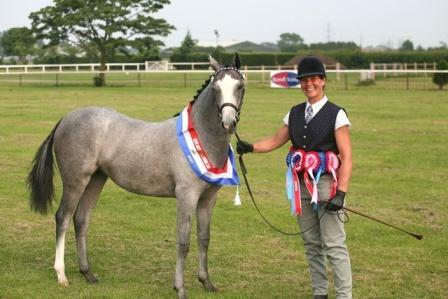 She was placed 4th in the overall mare grading. 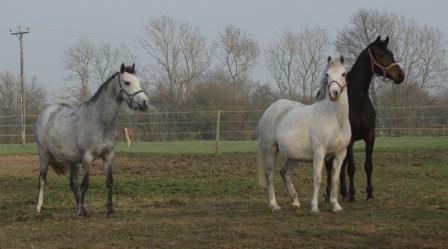 Florence has been given a well deserved rest after a hectic showing season and is now chilling out with her friend "Baby Hoss" and the Brood Mares for the Winter, they are always up to lots of mischief!!!!!! October 07. Shes not embrassed about her "really" pink rug!!!! 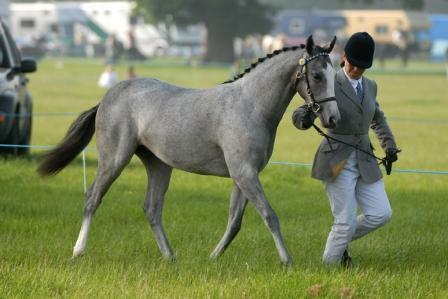 Florence was on her best behaviour and competed from Wednesday 15th to Saturday 18th August, just missing the first day. 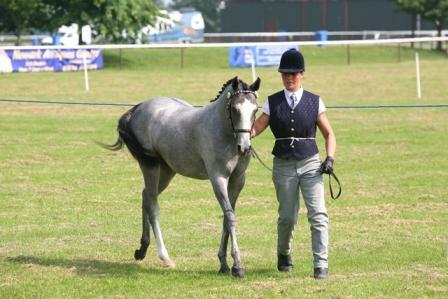 She gained some super results as we had really put her in the "wrong" classes, from being inbetween Riding pony and Show hunter pony, she has since shot up and is now definately changing into a very smart Show Hunter, unfortunately loosing her show condition in the process!!!!!!! We would also like to thank Mark and Tina, who show Florences's Dad - Thursden Vallye Raphael, who had a very successful week, for taking the time to give us lots of helpful advice and tips over the week. 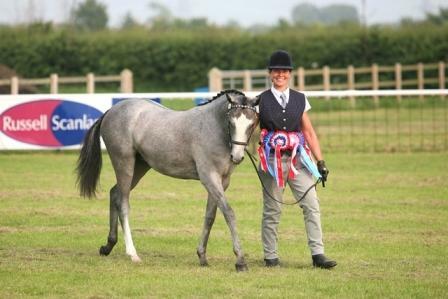 Florence was entered in two classes and after trampling through the mud in torrential rain, most competitors were towed and and off the showground, she came home with some superb results. 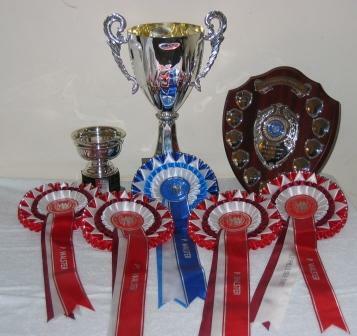 Champion Show Hunter & Silver Medal Rosette NPS Championship qualifier. 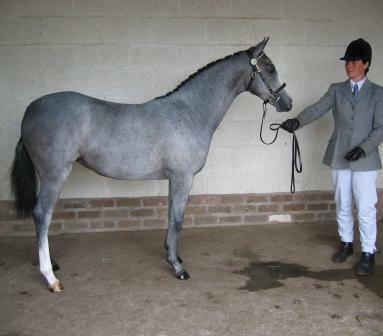 Florence gained 3rd prize at Newark & Notts County Show in the Riding Pony Class - Not to exceed 138cms. Taken after arriving home from show!!!!!!!! Click to go back to news page!!! Florence attended her first in-hand show in preparation for Newark County, she was very well behaved with only a few airs above the ground!!! 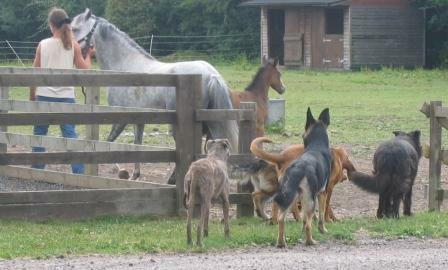 Everyone always helps to turn Florence out in a morning!!! 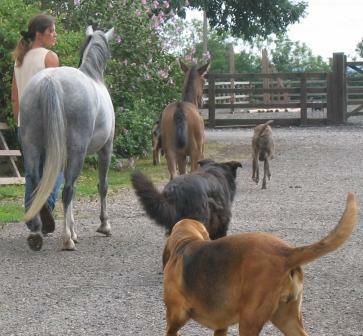 All our horses are "dog proof!!!" 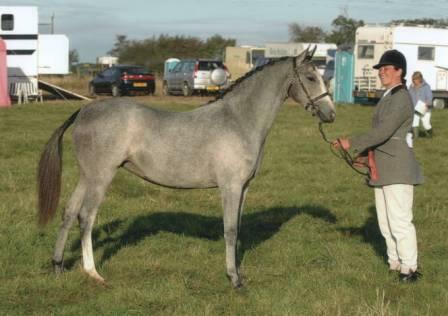 Thursden Vallye Raphael a striking son of Graded Sports Pony Stallion Aimbry Chester out of a classically bred Yealand Nightowl mare. 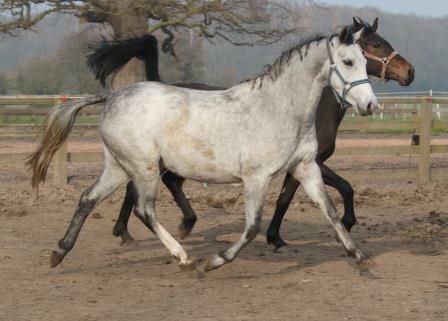 This elegant bright bay has an exquisite head, fabulous paces and superb temperament. 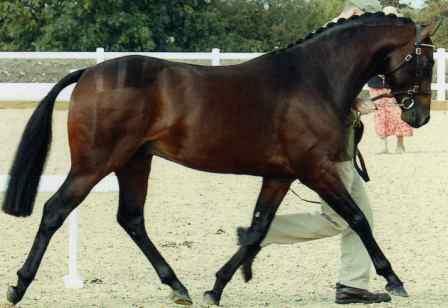 He has taken all the qualities from his father’s influential warmblood breeding which includes Advanced Dressage Stallion Wadacre Chicko, Ramiro Z, Lady Killer, Rastell and Raimondo and his mother’s top class riding pony breeding which includes, Bottingelle Swansong, Bwlch Valentino, Oakley Bubbling Spring and Blueprint. 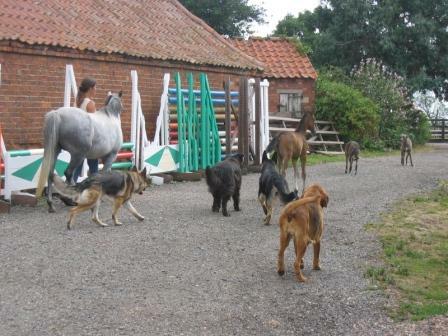 In 2008 as well as continuing a top level in hand and ridden showing career he will be produced by International rider Lisa Marriott as a Dressage pony, he is already working at elementary level. 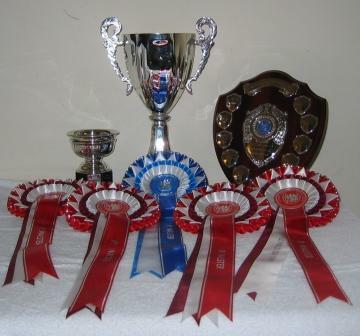 Won first time out Novice 21 scoring 69.5% and currently has 17 BD points. 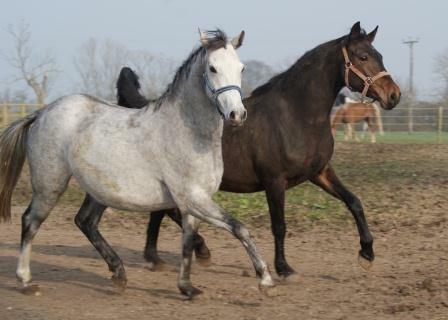 His long term career plans are to be produced as potential JA and FEI event pony as well as an outstanding ridden show pony, his career potential is unlimited.